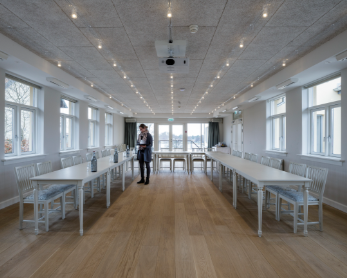 We have done our best to restore Hotel Bretagne as it would have been in the heyday of the seaside hotel, when well-off citizens flocked to Hornbæk, a jewel on the North Sealand Riviera – also known as the city of light. We have reduced the number of rooms slightly, in order to make all bedrooms en suite and make room for some beautiful, spacious deluxe rooms and suites. 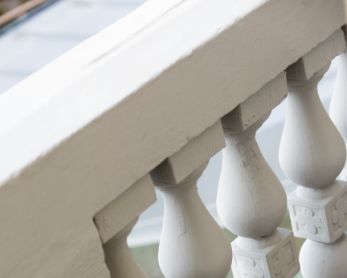 So today we have 23 beautiful rooms decorated in the best Gustavian style, most offering views of Lake Hornbæk and the sea. 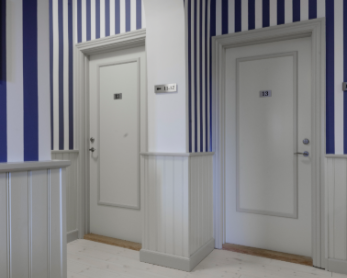 We are delighted to welcome you to Hornbæk and our beautiful seaside hotel in North Sealand. 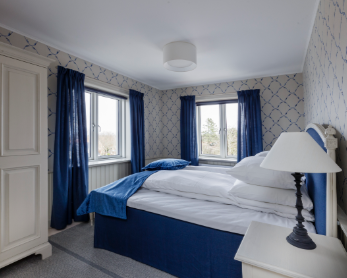 We have two single rooms, 18 double rooms and three large suites with the best views in Hornbæk. 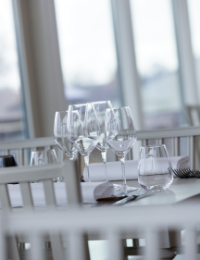 Our restaurant offers a wonderful, panoramic view of Lake Hornbæk. Adjacent to the restaurant is the largest of our three terraces, from which you can enjoy dinner throughout the summer. 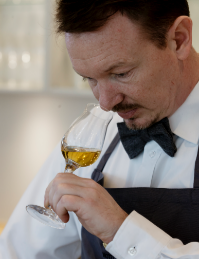 Have you ever drunk wine that made your food taste better, and vice versa, so that the various nuances and elements combine in tasteful harmony? This is exactly what we are aiming for every time. 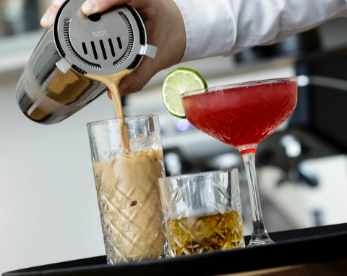 We spend a lot of time and energy on finding the right combination. Sometimes a creative approach is required; at other times we need to adjust the dish very slightly in order to achieve perfection. The important thing is to create a balance: neither the wine nor the food should be too dominant; instead each should complement the other and help to highlight elements and nuances. 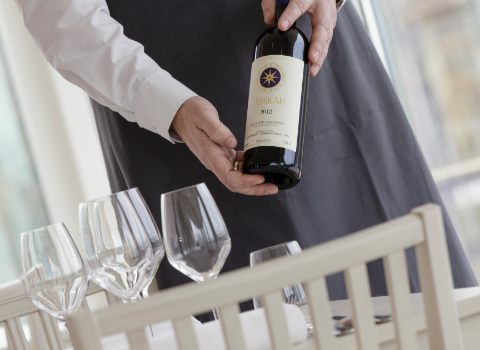 Our wine list is always tailored to our menu, but you also have an opportunity to tailor the wine yourself. 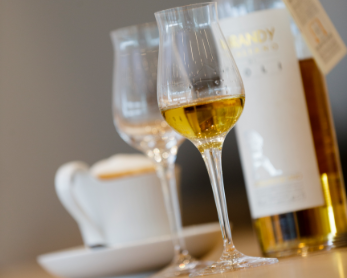 Our wine list offers a good selection of wines from all over the world, primarily France and Europe (since we like to uphold tradition to a certain extent!). We hold regular Winemaker's Dinners during the year, in which we typically invite one producer to show off and talk about their specific wine. 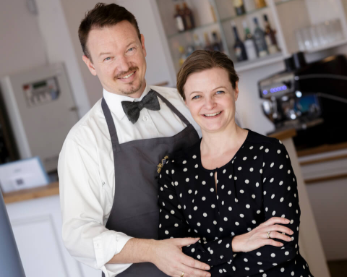 We have turned this on its head to some extent, in that our Head Chef, Kasper Larsen, then adapts the food to match the wines. Given that we traditionally start with the food and then add the wine, this is a fun, exciting challenge for us. If you would like to join us for a Winemaker's Dinner, follow us on facebook, where details of events will be posted. 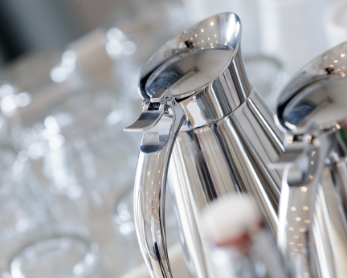 We offer several different, all-inclusive meeting packages to suit between 2 and 60 people, and can tailor everything to your needs. 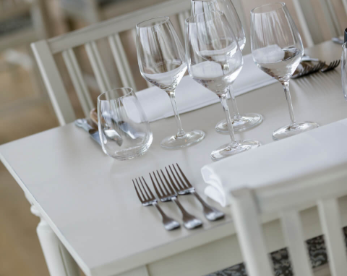 We have the setting, the view and the gastronomic excellence to make your party a truly fantastic experience.